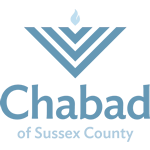 Join us for our Weekly Shabbat Services! Every Shabbat Morning joins us for a class on the Weekly Torah portion at 9:00 am followed by Shabbat Services at 10:00 am. Communal Kiddush Luncheon to follow at approx. 12:00 pm.